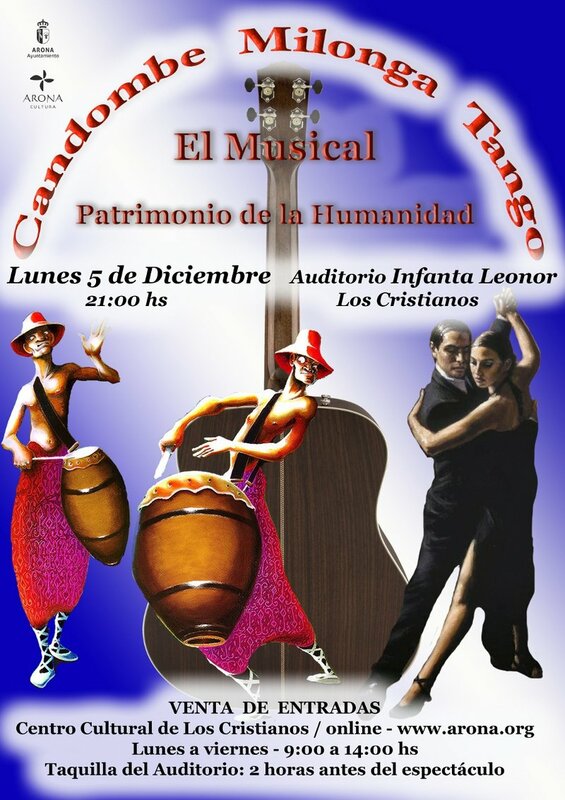 Experience an evening of passionatey live music all the way from Argentina and Uruguay with a night of Tango, Milonga and Candombe at the Auditorio Infanta Leonor in Los Cristianos on Monday, 5 December. Candombe, from Uruguay, is performed mainly on the drums, Milonga from Argentina and Uruguay is considered a forerunner to the tango and then there is the Tango from Argentina. These traditional music genres are listed as UNESCO cultural heritage and this show offers viewers in Tenerife a first-hand experience of these sultry beats all the way from the other side of the Atlantic. The show begns at 9pm and costs 10 Euros. You can buy tickets online, at the Cultural Centre on Monday to Friday, 9am to 2pm, or the auditorium box office from two hours before the show starts.